If you have 3-4 hours a week to dedicate to your studies, you can Fast-Track your way through any online course! Simply give us a call at to get started. 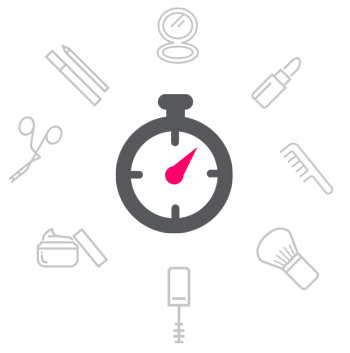 You can finish your makeup training quickly and start earning paying clients. It doesn’t take forever to become a certified makeup artist. Sure, QC courses are flexible so you can take as much time as you need to complete your course. But if you have the time, passion, and the drive, you can start working as a makeup artist and book paying clients in no time at all. The average QC students take around 4-6 months to finish their course. Let’s get you certified and start earning money from clients in as little as 2 months. We’ll set you up with a tutor, study plan, and tuition plan to make it happen! Call the school to enroll and be sure to mention you want the fast track training. QC’s Student Support Team will get you processed quickly and assign your tutor so that you can get started right away. Your course materials will be shipped to you but there’s no need to wait: you’ll be able to get started with your studies right away through the online student center! Don’t worry – your materials will arrive by the time you need your makeup kit for practical assignments. Practice your makeup techniques until you are very happy with your work. After, complete your assignments and upload them to the Online Student Center where they will be reviewed by your tutor. You’ll submit assignments at the end of each course unit. Your tutor will review your work then provides a grade and audio feedback. You listen to your tutor’s advice and improve your techniques for the next unit. As a student in the Fast Track option, you’ll be paired with Executive Makeup Artist Nathan Johnson who will guarantee a turnaround time of under 2 business days on all your assignment reviews. You’ll progress through the course without delay! Once you complete the required assignments and have graduated from your course, you’ll receive your professional makeup artist certification! The tutors’ critiques and advice helped so much to push me to become a better makeup artist. They supply you with so much knowledge and break down the business side of it. So, what are you waiting for? Follow your dreams like I did. Sign up today! 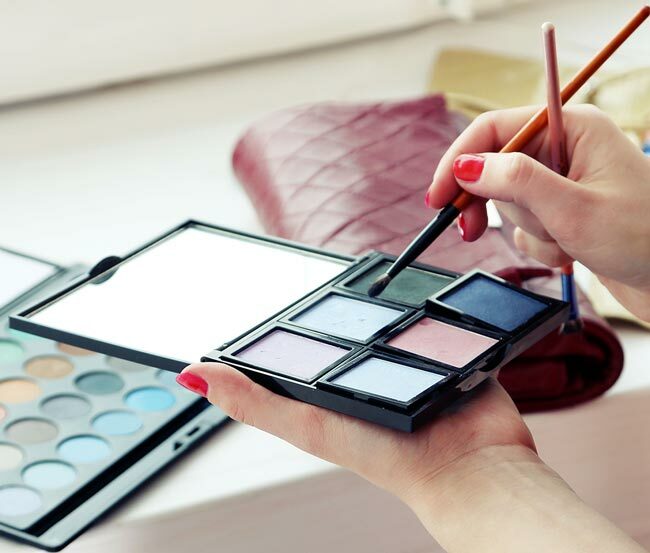 Enroll now by calling us at and get on the fast track to an exciting makeup career!